At the present time, there is no nation-wide, systematic approach to collecting, analyzing and presenting fire loss data in Spain. This makes it very difficult to understand the fire problem in general, and more specifically with respect to vulnerable populations, such as the elderly. As first steps to overcome the lack of a nationally populated and managed fire incident database, a methodology for collecting fire data, based on information extracted from the media, was developed. This approach is modeled in part on the Fire Incident Data Organization system from the National Fire Protection Association in the United States, which identifies significant fires through a clipping service, the Internet and other sources. For the initial Spanish database, selected variables were chosen from similar statistics gathered in other countries. The variables are related to the place and moment of the fire, its causes and consequences, the building typology and state, and the fatal and non-fatal victims involved, among other factors. In the initial data set, data concerning residential fires occurred between January 2016 and December 2016 was collected, and variables were analyzed. An initial focus was to identify the risk factors for one of the most vulnerable groups in case of fire, the elderly people. 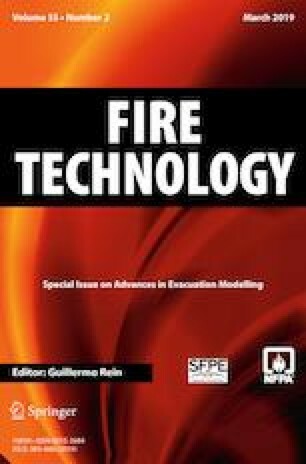 The development of this first-ever nationally-representative database of fire incidents in Spain is overviewed, and analysis of elderly population in dwelling fires is presented as a study case that represents the value and need of such a national database in Spain. The present paper is part of the Ph.D.: “Fire Risk in dwellings occupied by elderly people in Spain” developed by María Fernández-Vigil and headed by Dr. Beatriz Gil and Dr. Juan Echeverría and funded by the Ministry of Education, Culture and Sports of Spain. The authors would also like to thank Dr. Brian Meacham for his valuable advices. Fernández-Vigil would like to thank Dr. Rita F. Fahy and all the members of the Fire Analysis & Research Division of the NFPA, for their warm hospitality during the research stay and all the feedback provided.